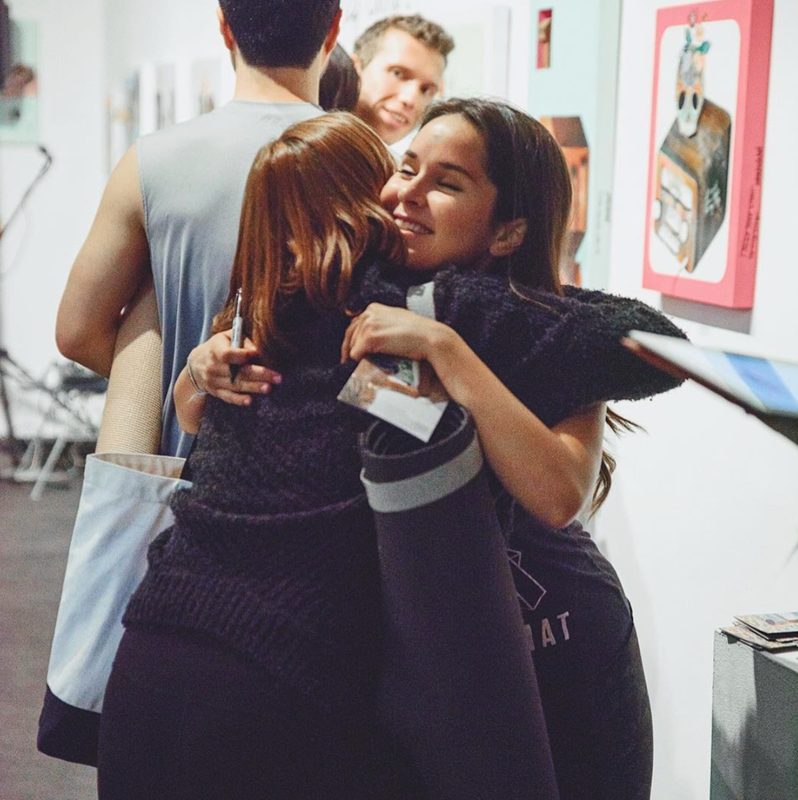 Grip The Mat takes your favorite yoga class into a pop-up location, then turns it into a social experience. Be the first to know when tickets to our next event are released. Our local pop-up events bring together a community focused on movement, mindfulness & having a good time. We offer high-quality yoga led only by hand-selected yoga instructors. Our classes are all mixed-level Vinyasa yoga and offer an invigorating practice to beginner and seasoned yogis alike. These sequences will leave you feeling energized and refreshed. After each yoga class we enhance our elevated state by opening the bar. Sometimes it’s wine tasting, or trying out locally-made fresh juice; other times it’s a weekend brunch with bottomless champagne. We're all about great conversation and face-to-face socializing. We meet in an ever-changing list of unique spaces to stimulate the senses. Maybe it’s a mural-wrapped old church, an independent art gallery, or the basement of an old speakeasy. Whatever the location, we guarantee it's not your average watering hole. Our mission is to empower our community. While self improvement is an inside job, we believe in lifting up the people around us, too! That’s why all tickets sales proceeds go toward a local charity that directly impacts our communities. We believe in lifting up our communities. That’s why ticket sales from every event go toward a local charity! Join us for yoga plus wine tasting, weekend brunch, or craft cocktails. You'll have fun and feel good. We promise. Can’t make the event? Sign up to be the first to know about our next event!